Thankyou-Tatsuo writes: There’s a book I’d like to quote from before writing about “Onihei,” the first anime adaptation of Shotaro Ikenami’s popular hard-boiled period novel series “Onihei Hankacho” (Onihei’s case files), which is airing on channels including TV Tokyo. The book is “Drama ‘Onihei Hankacho’ ga dekiru made” (The making of the TV drama “Onihei Hankacho”) by Taichi Kasuga, a film historian well-versed in period dramas. Here is a translated excerpt from Page 247: “Ikenami is good at depicting a world in a limited number of pages. This is because he can appeal to readers’ senses from between the lines, in other words, things he chose not to write about. You could say the ‘Ikenami world’ comprises this matter-of-fact writing combined with the affection and emotions implied in the subtext. “On the contrary, a film or drama adaptation of a novel involves the process of showing something tangible in those scenes. The creative staff must visualize the world described in the subtext, or abstract expressions common in literature. To do so, staff must add dialogue and scenes that are not explicitly written in the novel. “Whether the outcome is good or not depends on the skills of the scriptwriter who develops the original novel creatively.” Herein lies the reason why novels by Ikenami (1923-1990) have been made into films and dramas time and time again for many years. I certainly don’t mean that the creators of those films and dramas take the original novels lightly. Rather, they pay respect to the original work while expanding on what is not written in the novels to turn them into motion pictures fit for the time. The “Onihei Hankacho” stories center on Hasegawa Heizo, a steely police chief during the Edo period (1603-1867). Onihei is his nickname, an abbreviation of “Oni no Heizo” (Heizo the ogre). 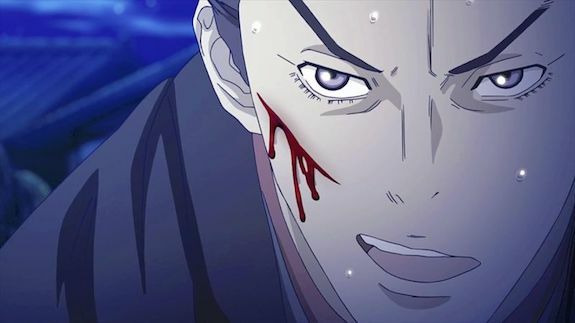 The series has been repeatedly made into films and dramas, but this is the first time an anime adaptation has been produced. 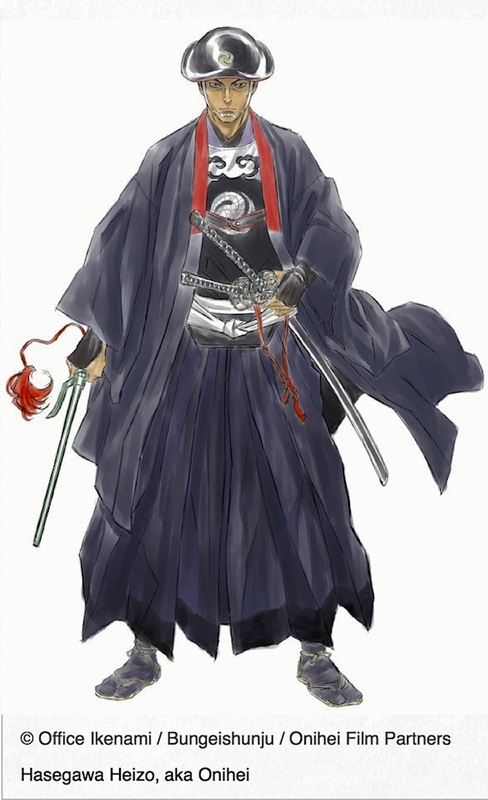 Under the overall direction of the veteran anime producer Masao Maruyama, who openly says he is an avid Onihei fan, the anime portrays Onihei as he battles with villains and injustice. He knows the ways of the underworld as well.